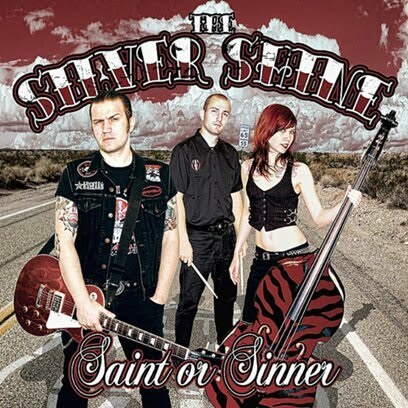 ""Saint or Sinner" is the 4th full-length album by the loudest punkabilly trio named The Silver Shine. Ten songs including fast psychobilly mixed punk rock and slower rockin' anthems with catchy sing-along choruses. Their screaming punky guitars, crazy slappin' upright bass and furious drum attack combines energy and technical skills. Krista Kat's soulful vocals with Ati EDGE's rough voice gives high diversity and harmony to the album. The opening and the closing tracks are fast, psychotic metalbilly tunes lyrically dealing with a serial killer and negative human aspects. The second one is a rocking anthem titled "Dreams" featurning Chris Suicide from US psychopunx The Triggers. This one is playing in Orvell's imaginary world parallel the world around us nowadays. "An old gipsy woman tried to told my future when I was 12 and she was wrong... hahaha" - says Ati EDGE and the story inspirated him to write the song "On the Edge of Luck". "Saint or Sinner" has already has a video filmed in Los Angeles with Krista Kat's lead vocals. "Homeward Bound" is some kind of looking back, how life passes by. 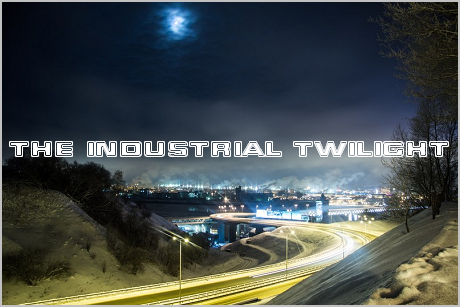 The next track is about fanatics who are into hot-rod buliding, or fallen in love with Harleys and stuff like that. This one's titled "Made of Chrome" and musically strongly influenced by Motorhead. "The Chased" is another song Krista sings, and it's about our fight against haters and their poisoning attitude. The next track's titled "Fire Burns in my Head" and it is a reminiscence of a pyromaniac regarding the best moments of his life. "Your Slave" is a simple, mid tempo rock and roll song about the beautiful babes. All in all, the guys felt it's more important to give a voice to these simple human feelings and leave all the zombies, monsters and horror behind. Formed in 2004, the hard-working trio has toured several times all over Europe, Brazil and rocked the USA; a total of 28 countries worldwide. Seeking inspiration from Social Distortion to Motorhead, The Silver Shine has managed to toss their influences with originality in a blender to create fresh and addictive music. Custom painted black/red upright bass, extreme energy, vintage microphones are the trademarks of the band on stage you cannot mistake for anything else. With three albums on Crazy Love Records and a new full-length album "Saint or Sinner" by Longneck Records under their belt, the band has undergone some changes and finally found the way what they've always been searching for. This is a must-have for both of your punk rock and / or psychobilly collection as well!"